Among all the diseases of the peripheral arteries, obliterating atherosclerosis is best known today. 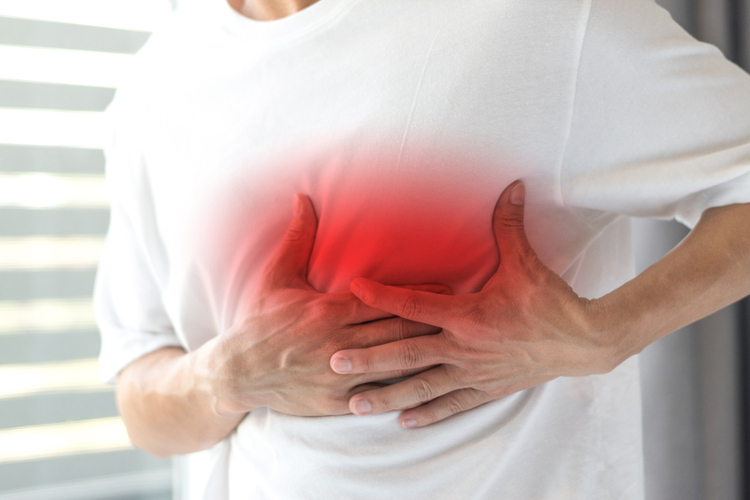 This disease is associated with the narrowing of the arteries, resulting in reduced blood supply to the muscles and tissues in the surrounding area. This leads to a deterioration of blood circulation. Arterial occlusion of the lower extremities (occurring in the legs and feet) is often present in combination with other conditions, such as coronary artery disease and cardiac muscle. Obliterating atherosclerosis (peripheral arterial occlusive disease (PAOD) or occlusive arterial disease) is an occlusive disease of the arteries that is most noticeably affecting the abdominal aorta and arteries of small to medium size of the lower extremities. May result in the absence of dorsalis pulses, lesions of the posterior tibial and / or popliteal arteries. The main cause of clogging of vessels is an atherosclerotic lesion of the inner wall of the vessel, but to the obliterating arterial disease can also cause injury, thrombosis, embolism. The disease can last for a long time, because treatment often begins with a significant delay. In the absence of therapeutic effects, serious complications may occur, up to tissue necrosis and amputation of the affected limb. Oblining, or occlusal, disease (OB) is characterized by a decrease in blood flow through the major blood vessels of the body due to obstruction or narrowing of the lumen of the aorta and its major branches. Changes in the arterial wall include accumulation of lipids, calcium, blood components, carbohydrates and fibrous tissue in the endothelial membrane. When a person is in a state of rest, normal blood flow to the muscles of the limbs is from 300 to 400 mm / min, but with physical activity, the blood flow is increased 10 times as compared with normal blood circulation. In the case of an obliterative disease, blood flow to the muscles will not be able to increase during physical activity due to arterial stenosis. When the metabolic needs of the muscles exceed the actual amount of incoming blood, the patient experiences an ischemic pain in the muscles. May be chronic or acute. It is divided into localization depending on the affected artery: sting, cystic, anonymous, subclavian, sleep or vertebral. Arterial disorders, which can lead to obstruction of the vessel, include obliterating atherosclerosis, obliterating thromboangiitis, arterial embolism, and aneurysm of the lower limb. Sudden occlusion is associated with the immediate discontinuation of blood flow. This usually causes tissue ischemia and death. Gradual blockage is accompanied by the development of collateral vessels, as a result of which the tissues to some extent receive oxygen and nutrients. As a rule, occlusive diseases of the arteries are only part of the complex syndrome, which affects various systems of the body. Complications include severe ischemia, skin ulceration, gangrene, leg amputation and sepsis. Making the correct code on ICD-10 allows you to receive treatment abroad if necessary. Also some names of diseases are very long and then they are replaced by the most suitable code from the ICD. 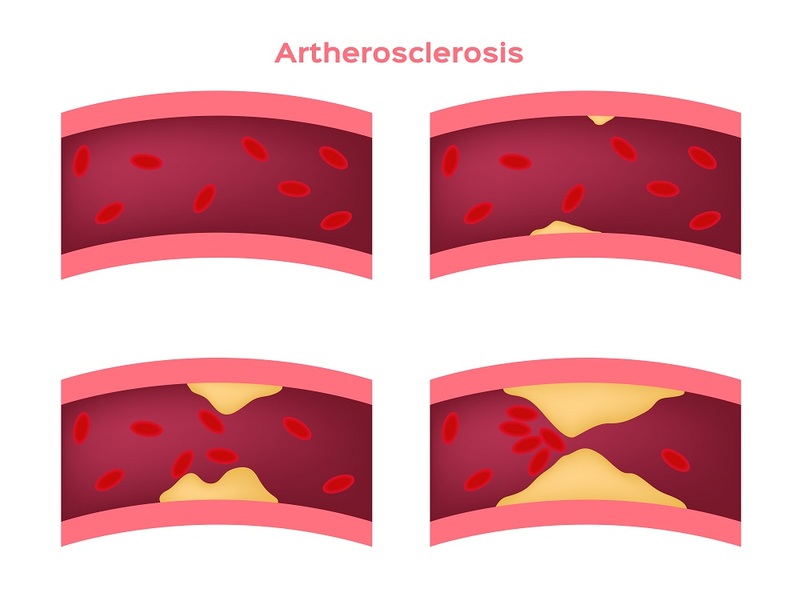 At obliterating atherosclerosis, arteries are clogged with an atherosclerotic plaque. In some cases, clogging with thrombi or embolism is observed. Single or multiple arterial stenoses cause lower blood flow to the extremities. Subsequent obstruction and vessel damage may be accompanied by chemical or mechanical injury and infectious disease. It is also possible to develop inflammatory processes. Obliterating atherosclerosis is characterized by the formation of plaques on the intima wall of the middle arteries, causing partial occlusion. In addition, there is calcification of the environments and loss of elasticity, which predisposes the patient to vascular dilatation or the formation of a thrombus. The most important risk factors are tobacco use, hyperlipidemia, hypertension, diabetes mellitus and sedentary lifestyles. Some researchers report family-related forms of occlusive disease of the arteries. 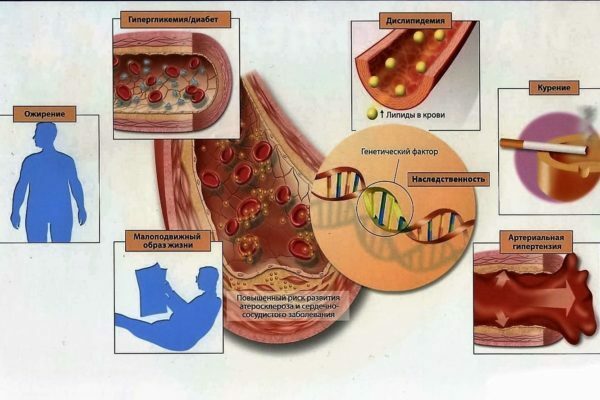 In particular, genetic risk factors can contribute to various subtypes of vascular diseases. Locus, closely associated with the disease, was identified in chromosome 1. The mutation in the CHRNA3 gene is associated with occlusive arterial disease, along with predisposition to nicotine addiction and lung cancer. All these signs indicate a possible defeat of the carotid artery . An indication of possible damage to the arteries of the lower extremities without anomaly is the presence of the patient's sensation of pain in the lower extremities. The most characteristic feature of obliterating atherosclerosis of the lower limbs is the intermittent lameness . Pain is invisible at the beginning, occurs mainly when physical activity. Reduces after rest for 2-5 minutes. The onset of pain is often associated with walking or climbing stairs, which helps to quantify the patient's chances of passing the course before and after therapy. As the disease progresses, the pain is felt in the state of rest in the toes, and ulcers can develop which become gangrenous in the absence of treatment. Involvement in the pathological process of the mesenteric artery is manifested by acute abdominal pain, nausea, vomiting or diarrhea . The patient may also experience numbness, tingling (paresthesia), paralysis, muscular weakness or sudden pain in both legs. Similar symptoms are also signs of occlusion of the aortic bifurcation. When examining the legs, a change in the color of the skin or the temperature of the affected limb may be noted. Cold, pale legs may indicate occlusion in the area of ​​aortic bifurcation. Also, signs of cyanosis, ulcers or gangrene can be determined. loss of subcutaneous tissue in the area of ​​the fingers. The most important part of the objective examination is palpation of peripheral impulses. The absence of normally palpable pulse is the most reliable indication of occlusive disease. Of particular importance is the comparison of impulses on both limbs. Also during the examination, the doctor finds out whether the artery wall is tangible, winding or calcined. If necessary, auscultation of the major arteries is performed. The detectable noise produced by the turbulent flow of blood through an irregular or stenotic lumen often indicates an atheromatous plaque. Noise from the right side of the neck is a possible sign of arterial damage. 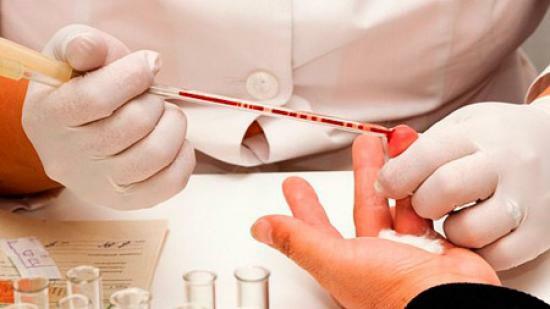 Timely diagnostics allows you to correctly diagnose and timely appoint the necessary medications. 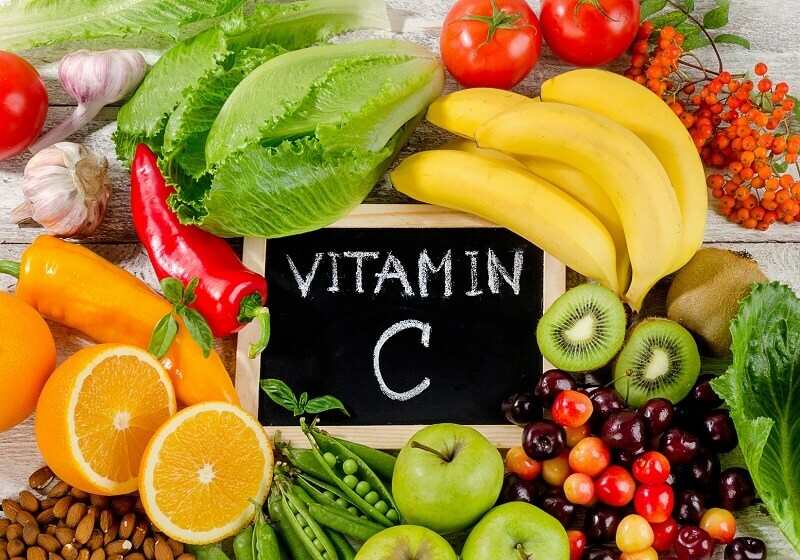 Monitor diseases associated with obliterating atherosclerosis, such as diabetes, high blood pressure and high cholesterol. Exercise can greatly help relieve symptoms. Also, if necessary, the drugs are selected individually. In some cases, a surgical procedure may be required to reduce artery contraction and restore blood flow to the leg. In particular, arterial stenosis can be treated using minimally invasive procedures such as angioplasty and stenting. With their help improves blood supply to the affected limb. If the disease progresses or if it arises in the artery, which is difficult to achieve with the help of a catheter, it may be necessary to restore arterial bypass grafting to restore blood flow. Intermittent lameness, caused by chronic obliterating atherosclerosis, can be treated with pentoxifylline (trental), which can improve blood flow through the capillaries by increasing the flexibility of the erythrocytes. An anticoagulant , often prescribed for obliterating atherosclerosis, is enoxaparin sodium (Lovenox). Operative intervention is indicated in cases where progressive arterial disease is determined or the patient makes complaints of severe pain that worsens physical activity. If obliterative atherosclerosis progresses rapidly or is not eliminated by conservative treatment, while the intermittent lameness has greatly hindered the movement, arterial bypass of the lower limb is performed. The site of the femoral arteriosus is the most common occlusion. 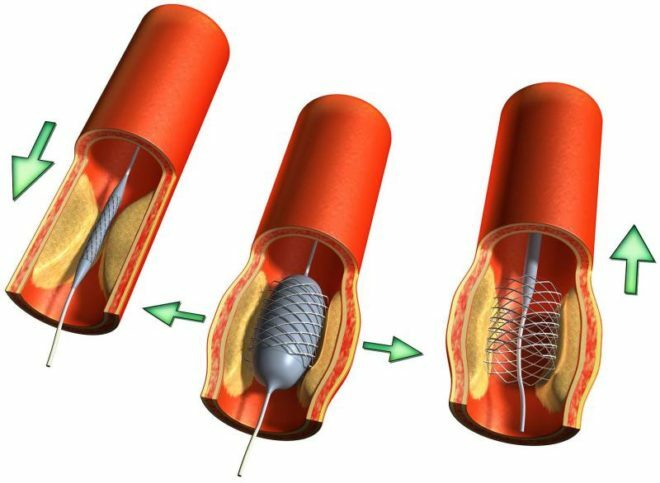 The affected portion of the vessel can be bypassed by a synthetic prosthetic material (teflon or dacron). Also, if necessary, an autogenous venous graft is taken, for example, from the subcutaneous vein. Care after femoral ablation is the same as with other operations on the arteries. Maintain a warm ambient temperature of about 21 ° C (70 ° F) to prevent overcooling. Avoid prolonged stay on the legs. Do not use bedding to keep your legs in a slightly suspended position for a long time during the day. Avoid crossed legs in knee joints or ankles. Need to wear compression stockings. Avoid pressure and vigorous massage on the affected limb. Use a gasket in the area of ​​ischemic injury. Regular aerobic exercises are important. In particular, the activity improves blood circulation due to muscle contraction and relaxation. Physical exercises also stimulate collateral circulation, which in turn increases the flow of blood to the ischemic region. It is recommended that you take 30 to 40 minutes of exercise with exercises for workout and relaxation several times a week. It is also recommended to walk at a slow pace and daily exercise for ankles and knee extensions. If there is an intermittent lameness, it's important to remember the importance of relaxing between workouts and exercise. In particular, it is necessary to provide enough time for the legs to relax. It is necessary to provide good skin care and learn how to protect the skin from the adverse effects of the environment.In particular, it is necessary to use a moisturizing lotion for dry areas and to conduct careful care of the legs. You should always wear cotton socks and comfortable protective shoes and change socks daily. If there are thickened or deformed nails, blisters or corn, you should contact a dermatologist / subcontractor for professional counseling. 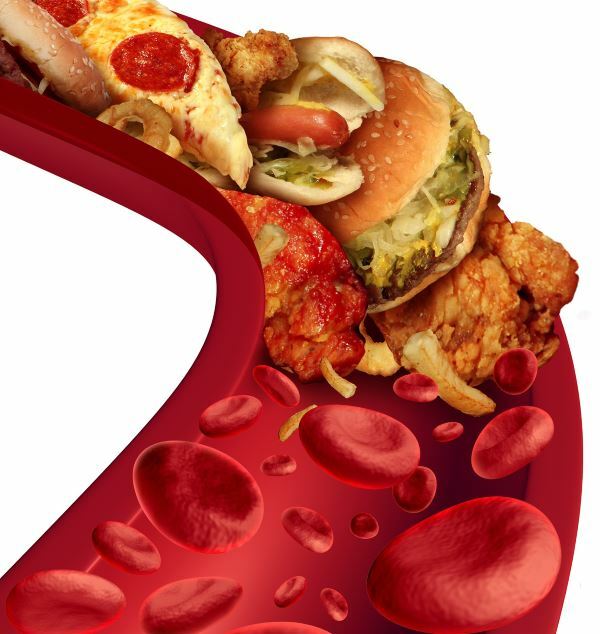 Obliterating atherosclerosis is a progressive disease and often leads to chronic illness. It usually begins slowly, and can contribute to the appearance of many irreversibly damaged vessels. Also, the symptoms often become serious enough before the patient succeeds to seek medical assistance. Treatment is often carried out long and can cause additional problems related to finance, the reduction of ordinary social relations and many other problems. In this case, it is important to assess the patient's ability to cope with a chronic illness.